The PC Gaming Show is always my favorite E3 press conference. It usually feels one step away from disaster at all times, a far cry from the ultra-slick press conferences from Microsoft, Bethesda, and so on. But that held-together-with-twine-and-glue feel is also what makes it so charming, as our fellow enthusiasts over at PC Gamer trot out an eclectic mix of games that make the PC such an intriguing platform. This year’s highlights included Yakuza 0—yes, you read that right—and Star Control: Origins, but it’s worth scrolling through the full list of bigger announcements below and just admiring the breadth of experiences offered on PC these days. It’s amazing… and more than a little overwhelming too. So many indie games were announced that we couldn’t even cover them all here. The Goat Simulator team over at Coffee Stain Studios is making a real game again, Satisfactory. 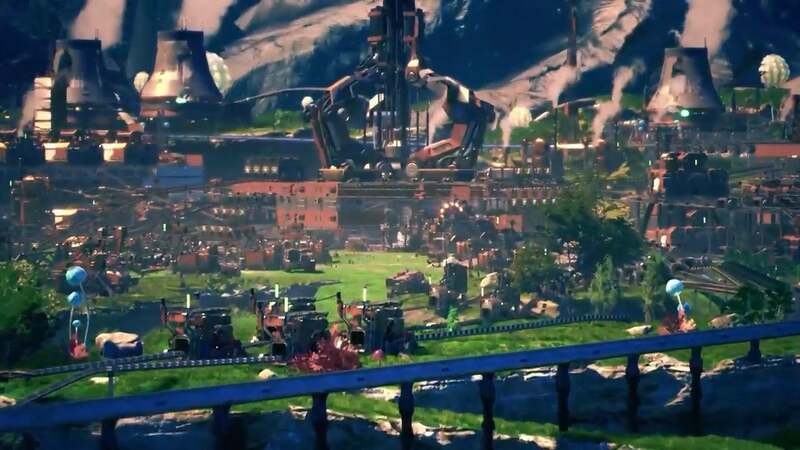 Not really sure what to make of this, except that it looks like a 3D Factorio or maybe a less puzzle-oriented Infinifactory. You know, one of those factory games. “It’s essentially about building these huge factories,” said Coffee Stain’s Oscar Jilsen. Yup. That about sums it up. Look for a closed alpha in the coming months. Hey, our first battle royale mention of E3 2018! (Okay, second, if you count Battlefield V at EA’s definitely-not-E3-press-conference on Saturday). The gimmick for Mavericks Proving Grounds? It’s not just 100 players per match, it’s one thousand players. With those numbers in play, I hope they can find an audience big enough. “A re-imagining of the award-winning mod.” Did you ever play The Forgotten City, the Skyrim mod? If not, it looks like this is your chance. Like The Stanley Parable, The Forgotten City is getting a standalone release in 2019. It should be great, as long as the technical side holds up. 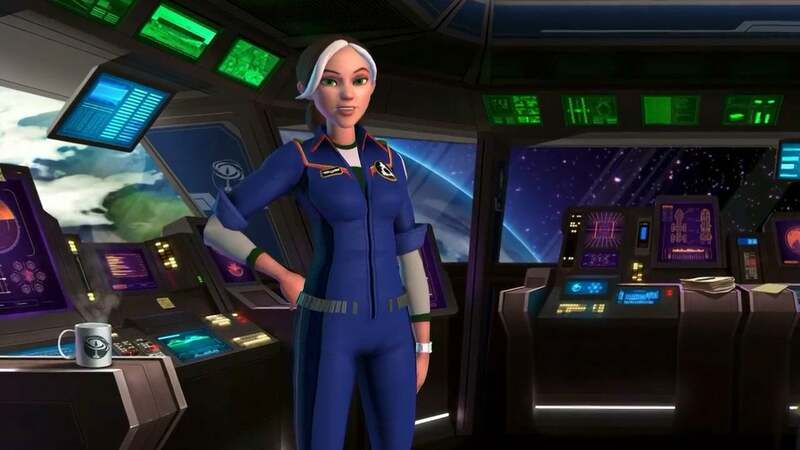 Looks like the long battle over the beloved Star Control franchise has finally come to a close, or at least that’s the impression I get from the fact that Stardock was showing Star Control: Origins at E3 2018 after running it in early access for several months. And it’s a galaxy-spanning RPG with the ability to land on any planet, which is a pretty huge departure for a developer mostly known for strategy games. Here’s the Steam blurb. The game is scheduled to launch in September. Five years on and Warframe keeps getting better. The PC Gaming Show played host to the latest content update news, subtitled The Sacrifice. 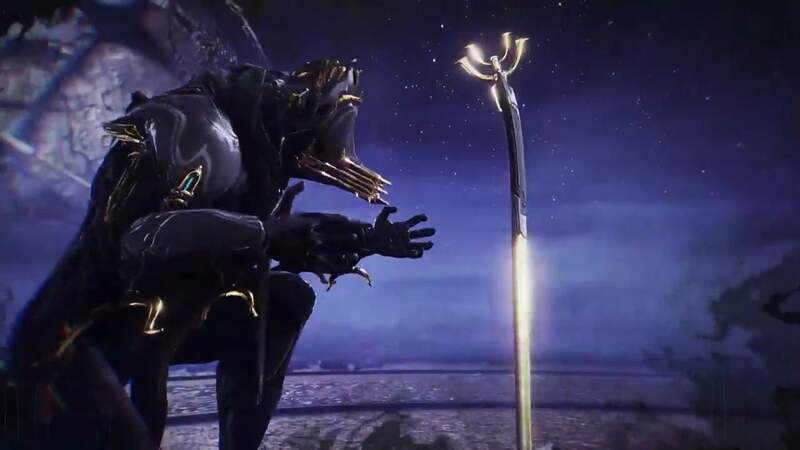 It’s “the latest installment of our cinematic quest,” according to Digital Extremes, and there’s this short teaser, complete with a look at long-awaited Umbra armor set. Not long to wait, as it’s out later this week. Sega did a sizzle reel of a bunch of ports. 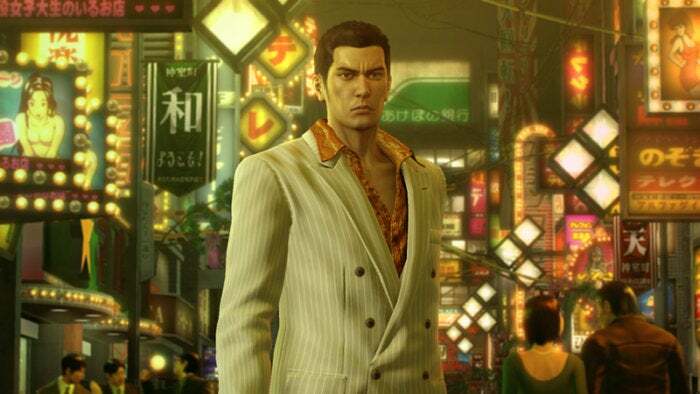 All you really need to know: Sega’s committed to bringing pretty much all its games to PC at this point, and that includes the famed Yakuza series, which up until now I’ve been reduced to slumming it on the PS4. No longer. Yakuza 0 is available for preorder now and will arrive on Steam in August, and Yakuza Kiwami also flashed up during the highlight reel. Very exciting! Can’t wait to see those games running at 60 frames per second, with all the bells and whistles. “Close your eyes and imagine a place where the sun is bright and the beaches are white.” Such a happy opening for a...Jaws adaptation? Not just a Jaws adaptation, but one where you play as the shark, eating people on vacation. 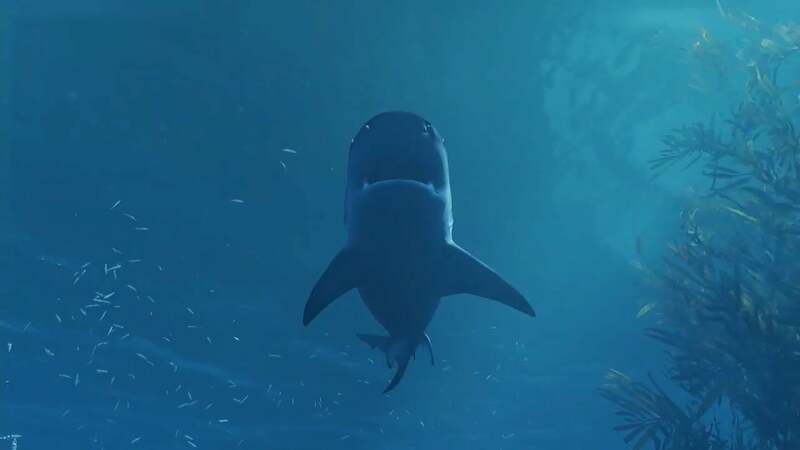 Tripwire says Maneater is an open-world RPG—again, one where you play as a shark and have a shark-based skill tree. It’s made by Alex Quick, the developer who created Depth and the original Killing Floor mod. Coffee Stain is done with Goat Simulator, but the spirit is alive and well. I kind-of thought Insomniac was pulling a CCP—lots of early support for VR, then nothing. 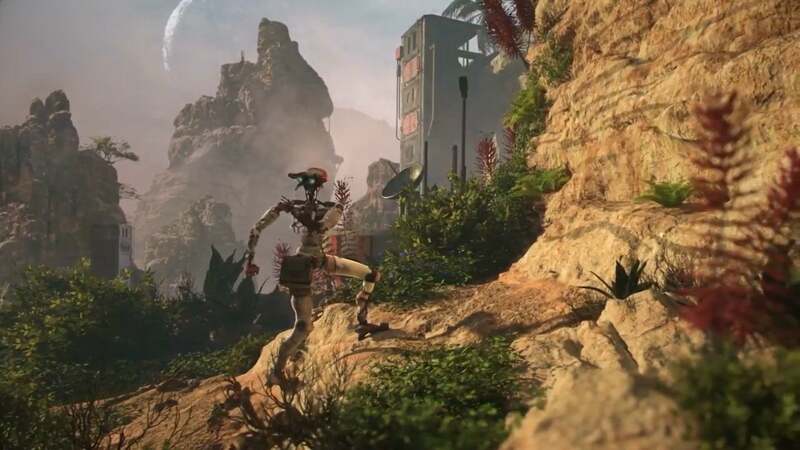 I apparently missed the mark though, as today the studio announced Stormland, yet another collaboration with Oculus. Looks like you’ll be playing as a lonely robot, trying to learn what flowers are or something. Like Wall-E, as played by C-3PO. Oh, except you also murder the hell out of some other robots. Insomniac’s VR games have looked great, and it’s nice to see a larger studio still working on the platform. Stay tuned for more on this one, maybe at Oculus Connect this fall? 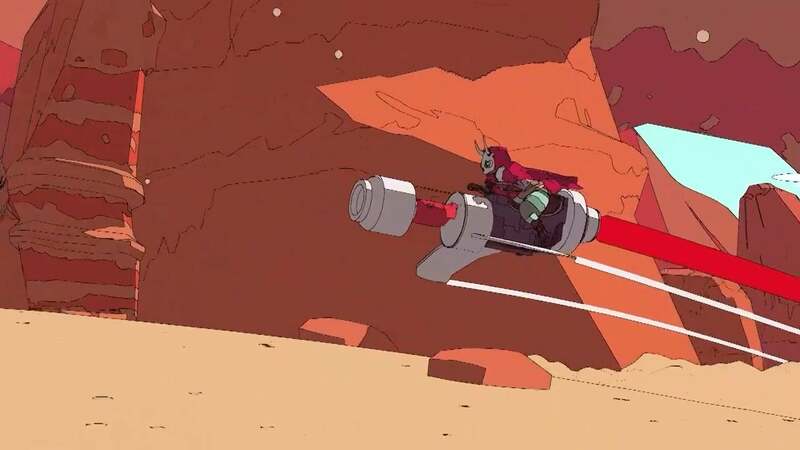 I have no idea what Sable is, except that it comes from publisher Raw Fury and it looks as if someone was really inspired by Moebius. The art style is so unique for a PC game though. I don’t know how it’ll play, but anything this pretty has already piqued my interest. Don’t Starve just keeps going and going, the evergreen crafting/survival game. 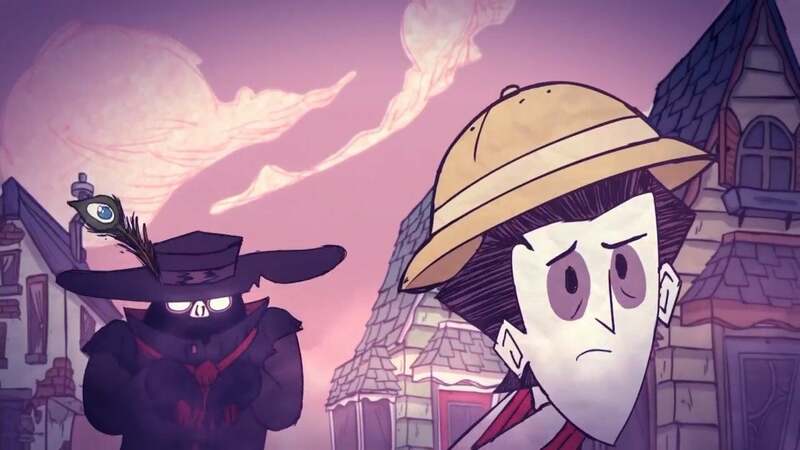 I wouldn’t have expected Klei to expand on it once again, but there’s yet another update on the way: Don’t Starve: Hamlet. Lots of creepy-looking monsters in this one. 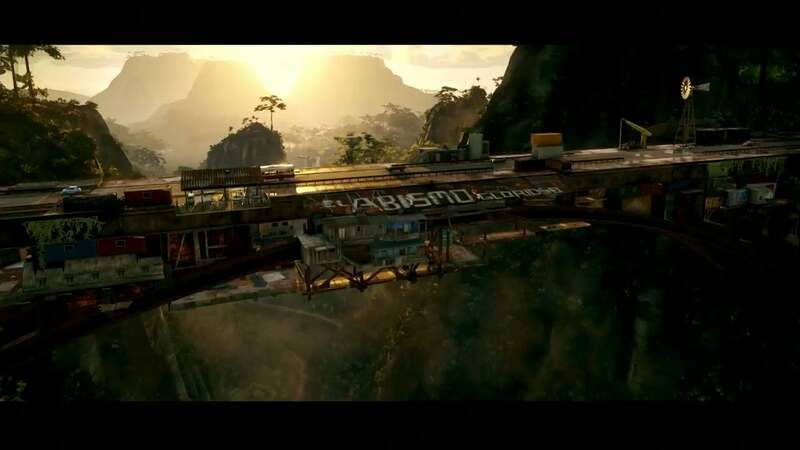 We’ve already seen quite a bit of Just Cause 4, courtesy of both Microsoft and Square Enix’s conferences, but if phrases like “Physics-based aerodynamics models” and “Increased fidelity of destruction” gets your motor running, then you’ll definitely want to watch this tech-focused breakdown. Nerds. When the PC Gaming Show teased a look at The Walking Dead I naturally assumed it was the final season of Telltale’s adventure game. 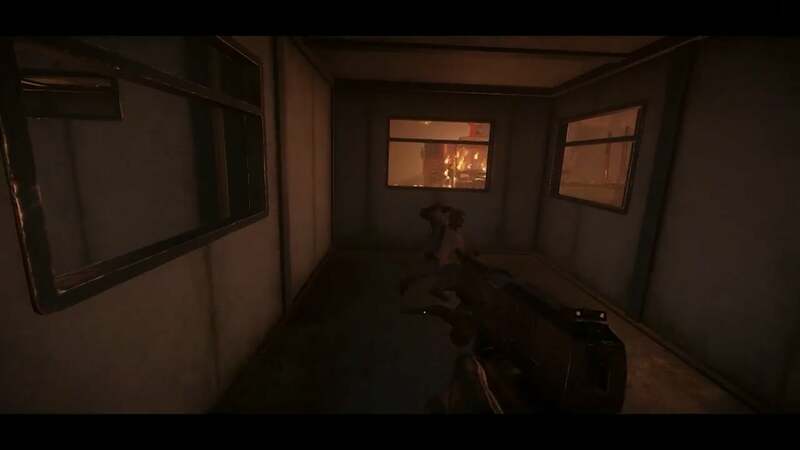 Nope, it’s actually the Overkill shooter, the one that’s been in development for what feels like five years now. A “four-player co-op action FPS,” it’s quite a bit different from the adventure games we’ve been playing. Good? We’ll see. Look for it on November 6. Oof, the second battle royale game of the show. 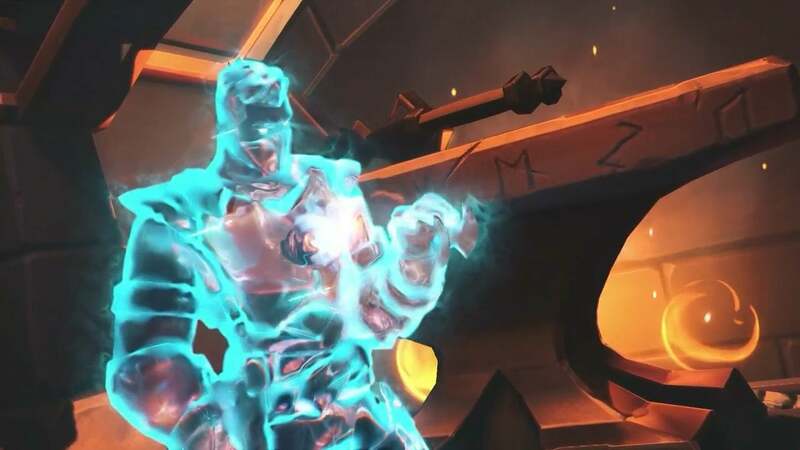 This one, Realm Royale, looks like...I don’t know. It looks like Fortnite except maybe with a medieval theme to it? It’s already out, so if you want to play it you can grab it from Steam for free. It’s been pretty popular since it launched on June 5. Have fun. Hey, that new Anno game! 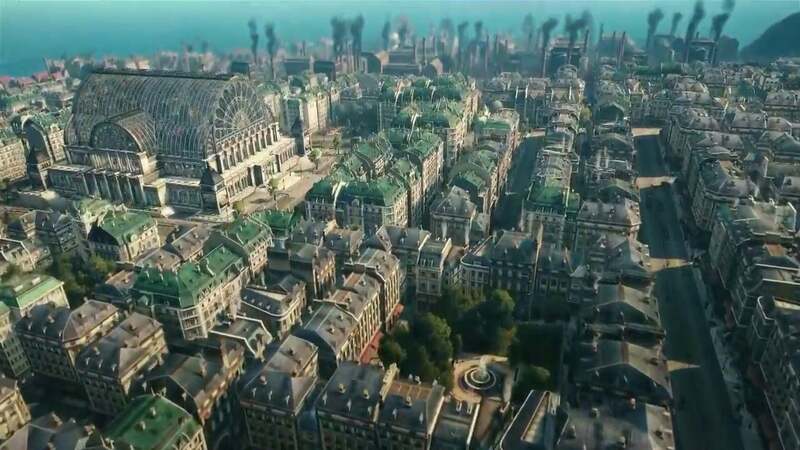 Ubisoft didn’t deign to show it at its own press conference, but Anno 1880 made an appearance at the PC Gaming Show and that’s good enough for me. Expect big ships, dingy factories, and lots and lots of coal. The third and final battle royale game of the night was also the most unexpected. 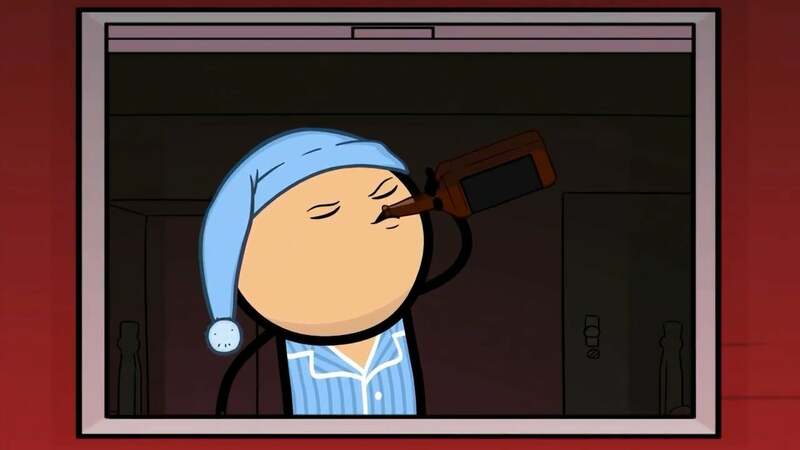 Rapture Rejects is an isometric game themed around Cyanide & Happiness, the webcomic. Not at all the source I would’ve pegged for a battle royale game, I’ll tell you that. It looks wild. 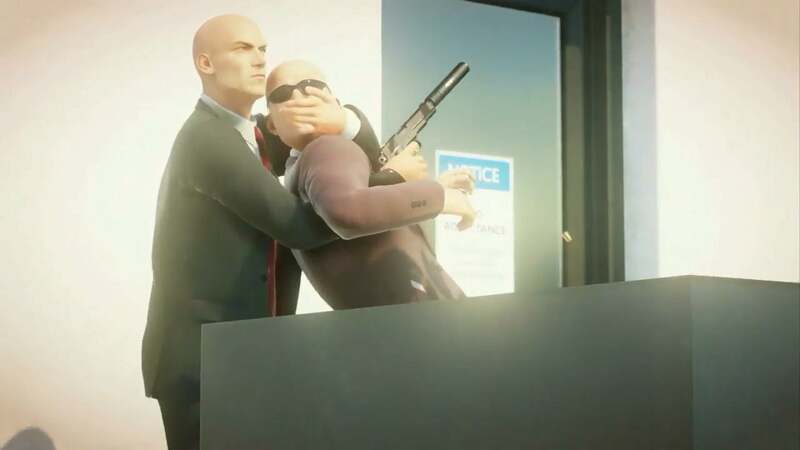 And closing out the night: Hitman 2, with its debut gameplay trailer. It’s only a very brief minute and a half long, and focuses on the same Miami location we saw during Microsoft’s press conference yesterday, but I’m excited to throw pans at people’s heads and also dress up like a racecar driver. 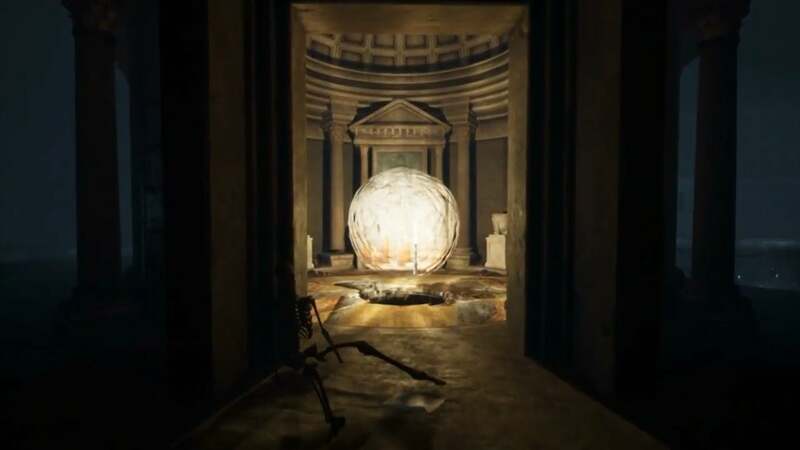 Elusive Targets are also coming back, which is great news—I really liked those short-term contracts in the last Hitman. Look for it on November 13, 2018. That’s it, for the PC Gaming Show at least—and maybe for the PC’s presence at E3. Sony’s press conference is supposed to be more focused on the PS4. Stay tuned though. We’ll know more in just a few hours, as Sony kicks off at 6 p.m. Pacific.